The pack is based off Super 35 and Super 16 Film stock and features a set of film emulation LUTs that you can use to get the look of popular film stock in just a few clicks. The pack features over 30 different film negative and positive print emulation LUTs with LOG and Rec709 versions to chose from. As an added bonus you get an extra 20 creative grades/looks based off the pack to quickly get you something different. Choose from 100s of the finest looks presets on the market! Blockbuster looks based on popular Hollywood films, Alternative grades, Infrared simulation and much more! Cinematic presets for LOG footage. A great way to grab a collection of Rocket Rooster tools for CHEAP. The pack that started it all! 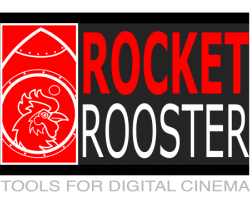 The Rocket Rooster Cinema Colour is the first ever Rocket Rooster product and features 30+ cinematic LUTs and only for $5! Check out all the Rocket Rooster Freebies!